Why is it that most people do not set goals; and, that generally, even people who do set goals set very small ones? I, personally, think that this is a phenomenon that is accidentally taught to us quite early in our lives by our parents, teachers, friends, and family. In some form or other, you have probably overheard or had someone say to you, “Don’t expect so much of yourself, that way you won’t be disappointed.” Or, “Don’t set your standards too high because you might fail.” Or, maybe, “Don’t go so fast or the boss will expect the same thing from the rest of us.” By being told these things, in essence, you are being told to rig the game for yourself. You set the bar so low that rising to the occasion is no work at all. You make up easy goals for yourself or, even worse, set no goals at all. And, maybe you’ve concluded that that’s the formula for happiness because you never come close to risking the possibility of failure. If that’s your strategy, all you’ll ever achieve is miserable mediocrity. Challenge yourself! Ask yourself what you really want. Why can’t you be an astronaut, a professional athlete, or a business owner? Why can’t you be a manager, a district manager, a regional manager, or a vice president of the restaurant company you now work for? How about a doctor, a lawyer, a cowboy, a rock star, a ballerina, a millionaire, or whatever else you want to be? You know what, you can! It is possible. A worthy goal demands some intense thought and a ton of hard work; but, if you are willing to commit whole-heartedly to the effort, you can achieve anything that you set your mind to. Know that and believe it. If you want to launch to never-before-reached heights and make your dreams a reality, you must set goals and plan for the future! Do you know the difference between a goal and a dream? A goal is written down, but a dream isn’t. The dream is how possibilities germinate, the dream is the idea; but, the goal is the idea transformed into action. The goal sets your feet on the journey and on the path to your destiny. Let me just give you the quick-and-dirty version of setting goals, because it’s not hard nor is it time-consuming. Begin with what I call the Brain Dump. Dig down deep inside yourself and ask, “What is it that I want out of every aspect of my life?” You have to write this all out. For this exercise, don’t waste time worrying about whether or not what you want seems far-fetched, or how on earth you will achieve it; just write it all down. Get it on a page, several pages. Don’t leave any aspect of your life unexplored. Take your cue from Oprah as you write. She said, “When I look into the future, it’s so bright it burns my eyes.” That’s what you’re going for. So, with that in mind, what do you want from your career? How far do you want to go? What about your social life? What do you want to make happen for yourself, personally? Do you want to learn how to play an instrument, take up a new sport, or do ballroom dance? Write down where you want to see yourself financially; when you want to retire; and, what you will you do after that. What places do you want to see? . . . The tropics? The Himalayas? Maybe you’d like to step foot onto every continent. What kind of adventures do you want to have? . . . White water rafting? Zip lines in the Caribbean islands? Sky-diving? How much free time do you want? What about your health and fitness? Etc, etc, etc. Just write it all down – anything and everything that comes to you! Spend some serious quality time with this project – three to five hours over several days, if necessary. Get truly imaginative and be aggressive. This is your life! How do you see it? When you feel like you’re finished, go back and review your entire list. For each thing you want, plot your plan of action. Begin to enter the dates by which you see yourself accomplishing these things. Provide the necessary details that layout the steps you need to take in order to accomplish all you have listed. Measurable – keep score. Mile markers show how far you’ve come. Attainable – must be things you can actually get. Realistic – you can’t do a two-year masters program in six months. Time-specific – a due date of when you expect to deliver. It may very well be the case that you decide to toss some of the items from your list because you have now decided for one reason or another that a specific achievement just really isn’t as important as you initially thought it was; and, there’s nothing wrong with that. Strategize for daily, weekly, monthly, quarterly, yearly, and long-term goals. 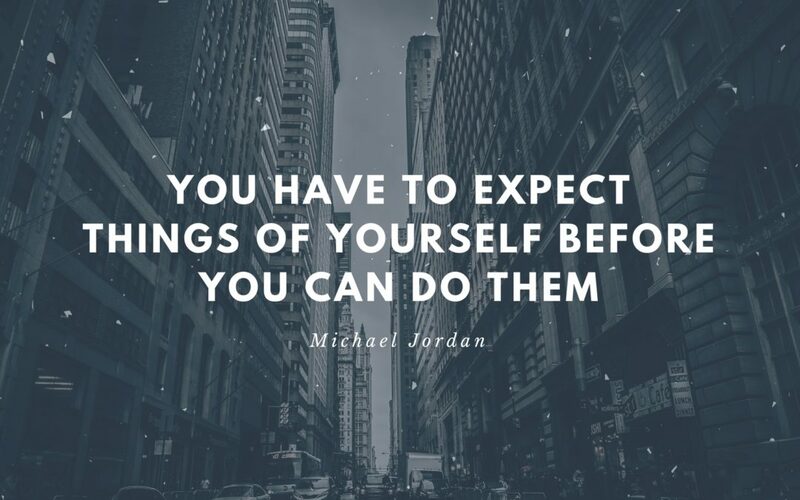 Then, start busting your hump to accomplish them. Some might come easy; they may not be as difficult as you thought they’d be. And, some will be a lot harder. Some you will achieve. Some you won’t. Don’t linger on that, just learn from the experience and move on. Some goals you may decide you truly do not want; they don’t serve your interests after all; and, that’s ok, too. Don’t let anyone else make those decisions for you. Your life is in your own hands. You are self-determining. This project is all about you. You are the President and CEO of YOU, Inc. Make your own list of goals and your own plan of action that lays out what you need to do to get the prize. As said by the very successful motivational speaker, Les Brown: “If you set goals and go after them with all the determination you can muster, your gifts will take you places that will amaze you.” Find your targets and direct all your efforts toward those destinations. You will be amazed at the rush you get from taking the reins of your own life. This focus on the future with a plan in the present puts you on the path to realize greatness. You may notice envy from those around you who don’t understand your newfound passion and your tireless drive, but don’t let them slow you down. Understand that you will not hit every goal by any means; in fact, if you do reach every goal, that’s a glaring red flag. It may be a sign that you have set your goals way too low. Think bigger; do another Brain Dump because you need to commit to demanding more of yourself. Be SMART, set goals and plan for the future; that is, if you want to have the brightest one possible!